Collects X-Men Gold #26-30 and X-Men Wedding Special. It’s the X-Men wedding of the century — and you’re invited! 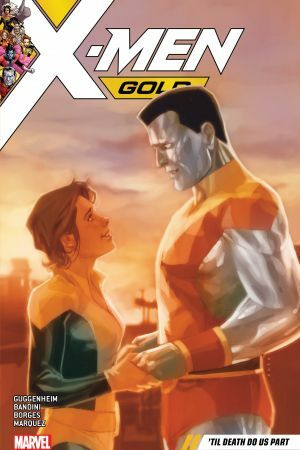 But after years of will-they-won’t-they, of triumph and tragedy, of romantic rivals and untimely demises, can Kitty Pryde and Piotr Rasputin finally make it down the aisle? Not if anti-mutant lobbyist Lydia Nance and 0101, the most advanced Sentinel on the planet, have their way. Their goal? 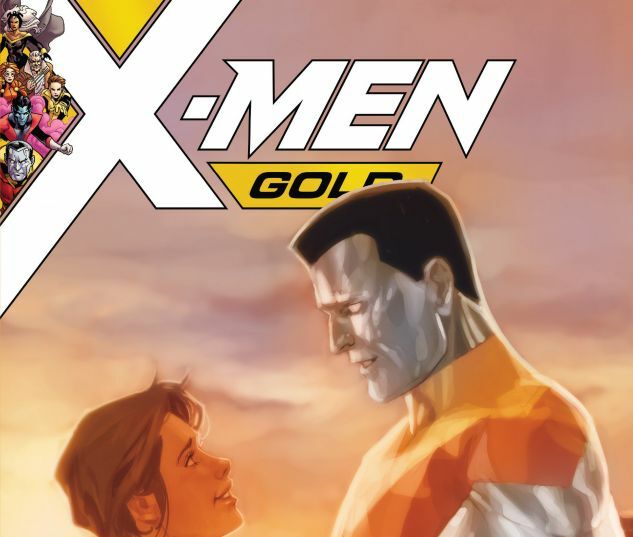 Kill the X-Men — starting with Colossus! As the X-Men come under attack from all sides, Kitty and her team must race to safety — or die in the cold vacuum of space! Cross your fingers for the hopefully happy couple, dearly beloved, as guest stars galore gather for a history-making mutant union! Plus: Attend the unforgettable bachelor and bachelorette parties! And legendary X-Men scribe Chris Claremont returns for an all-new tale of Kitty and Colossus!